Bubble cleaner handle:in the carbon dioxide-rich acidic environment,reduce the PH value within the cell,intracellular hemoglobin oxygen affinity and a reduced ability known as:bohr effect,can enhance blood circulation,increase blood oxygen content,accelerate skin cell metabolism. Ultrasound handle:the use of high-frequency ultrasound on the skin 1Hz internal stimuli of vibration,resulting in tepid to drive the organization to improve its skin cell metabolism and promote blood circulation. Multi-RF handle:promote fibroblasts produce rebuild collagen,making skin firmer,smooth and wrinkle-free skin texture. BIO handle:tighten the eye muscles,strengthen the eye muscles flexibility so that the text of the end of eye loss,eye bags,glasses relieve fatigue,reduce dark circles. Cooling hammer:After finishing the treatment, it is used to shrink the pores in the end to make the treatment more effective. 1. Powerful additional functions,with detoxification suction pen,BIO face lift wrinkle,effect more secure. 2. High-tech treatment techniques,the operation is more accurate,simple,water and oxygen can be fully integrated. 3. 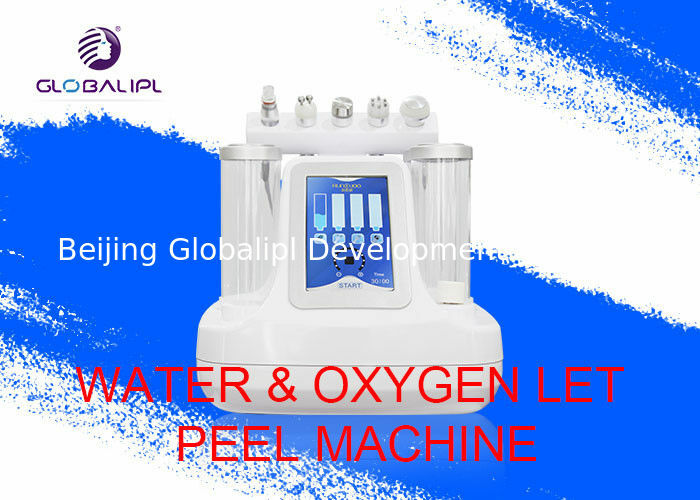 Water,oxygen pressure regulating different parts of the treatment,the skin of different ages. 4. Repetitive stimulation of oxygen and water to avoid skin edema. 5. Super-cooling device,more stable performance,higher safety factor. 6. With quick plug-in connectors,connection is more convenient,simple.